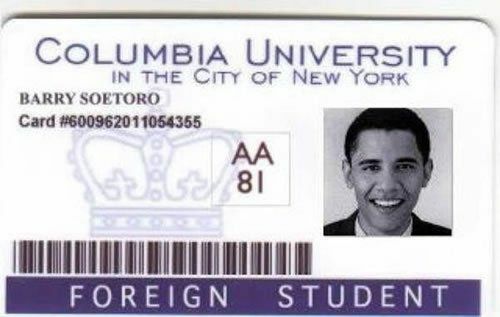 A viral rumor circulating around the internet via email and social media includes an image that purports to be a scan of former President Barack Obama's "foreign student" ID issued by Columbia University in 1981. The rumor, which seems to have started in 2012, is false. 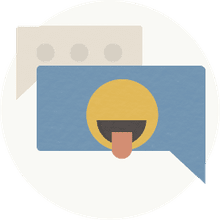 Read on to learn the details behind the rumor, what folks are saying about it, and the facts of the matter. This is a blatant hoax aimed at convincing the gullible that Obama attended college as a foreign student and therefore must not have been born in the United States. It fits into a larger conspiracy theory claiming Obama was ineligible to be president because, supposedly, he isn't a "natural born" American citizen. The ID card image is fake. The first clue is the name, "Barry Soetoro." While it's true that Soetoro was his stepfather's last name and Obama did attend grade school in Indonesia under the name Barry Soetoro — as confirmed in the book, "Barack Obama: The Making of the Man," by David Maraniss — there's no evidence that he used any surname name other than Obama while attending college. For example, the byline of an essay by Obama published in Columbia University's weekly magazine, "The Sundial," in 1983 was listed as "Barack Obama." "The days of being called Barry Soetoro ended when the ten-year-old boy returned to Honolulu. Using the surname of his stepfather had been a convenience during his three and a half years in Indonesia; now there was no reason for it. He was Barry Obama again." 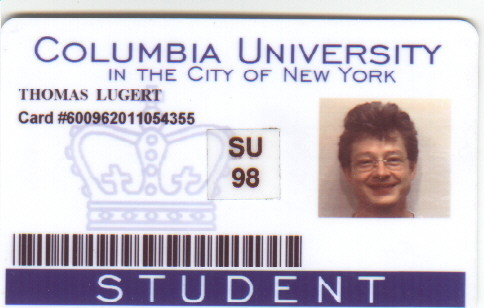 Moreover, it's as easy as doing a Google image search on the phrase "Columbia University Student ID" to locate the original image from which the bogus Obama ID card could easily have been made. Issued in 1998 to someone with a completely different face and name, it includes the same identification number as the one supposedly issued to Obama. "Columbia will begin a new phase of digital services next month, with the introduction of new Columbia ID cards and installation of ATM banking machines on campus. These two improvements are a step toward what University officials intend to be a one-card system on campus for banking, dining and library services, copying, vending machines, phone calls and laundry." In case anyone wonders whether the article might be referring to some type of ID card other than the one supposedly issued to "Barry Soetoro" in 1981, the online version of it contains a link to an image of the card under discussion, which is indeed a match for the one pictured above.